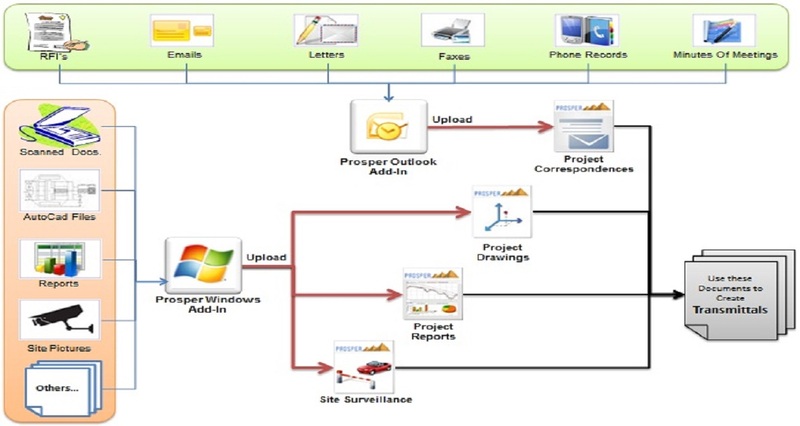 To manage projects, Prosper manages all Documents that are related to each project. Depending on the project phase (i.e. Potential or Running) each project contains different types of documents. Documents are categorized under different categories like: Project Information, Contract Information, Communications, Logs, Etc. 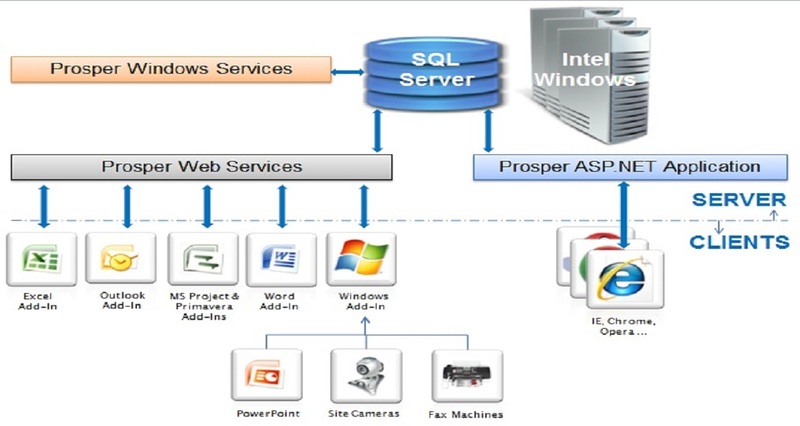 Prosper automates the creating, editing, progressing, viewing, approving, printing, controlling, and archiving of regular daily Documents and objects to streamline your Business Processes. 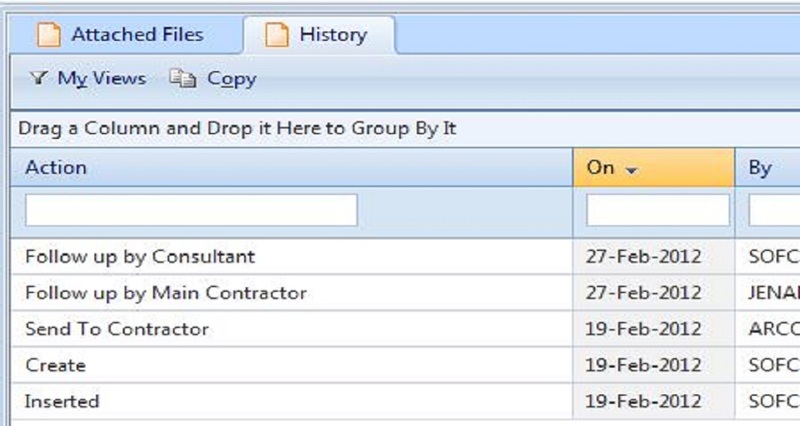 Designated users can upload all correspondence and documents relating to each project once to the online server removing the need for repetitive data entry, making them available to all project participants within the organization and ensuring that all members have access to the very latest contents respecting confidentiality. Prosper allows you to edit any uploaded document without downloading it then upload it again. When you run the menu item “Edit Content”, the Prosper App Runner will download the file, open the corresponding application for editing, and then upload it automatically when done creating a new version. Prosper keeps all the previous versions of any edited document in the history togther with WHO did the changes, and WHEN the change was done so you can easily reach any reversion any time. Prepare and Submit transmittals for Approval, As Requested, for Comments and Review, and for Your Use, then monitor actions after transmitting to Return, Return for Correction, Resubmit, or Approve the transmitted documents.